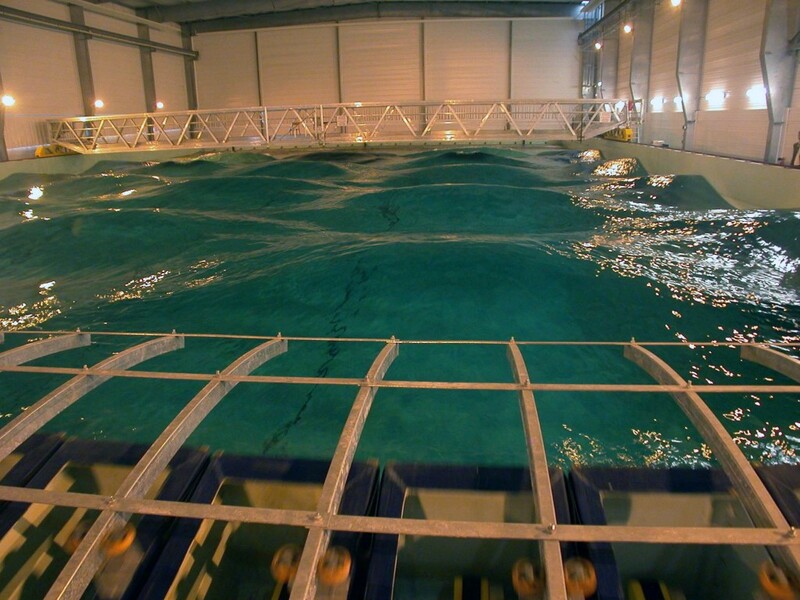 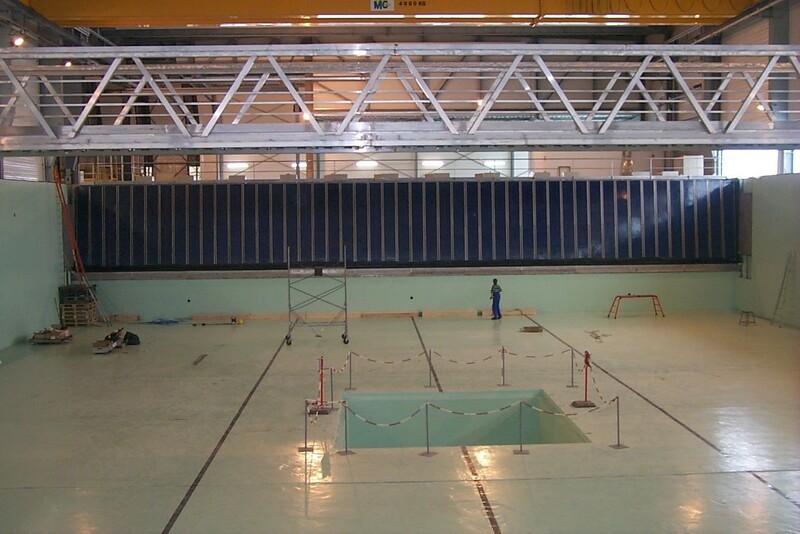 The wide tank at Ecole Centrale de Nante was Edinburgh Designs' first wave machine capable of generating a continuous 1m sine wave. 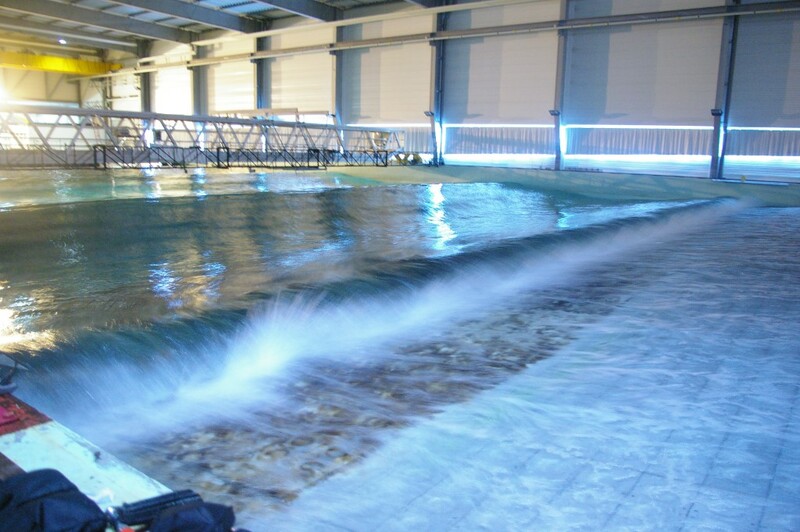 The 48 paddle machine is heavily used by the wave power community for wave power device survivability testing. 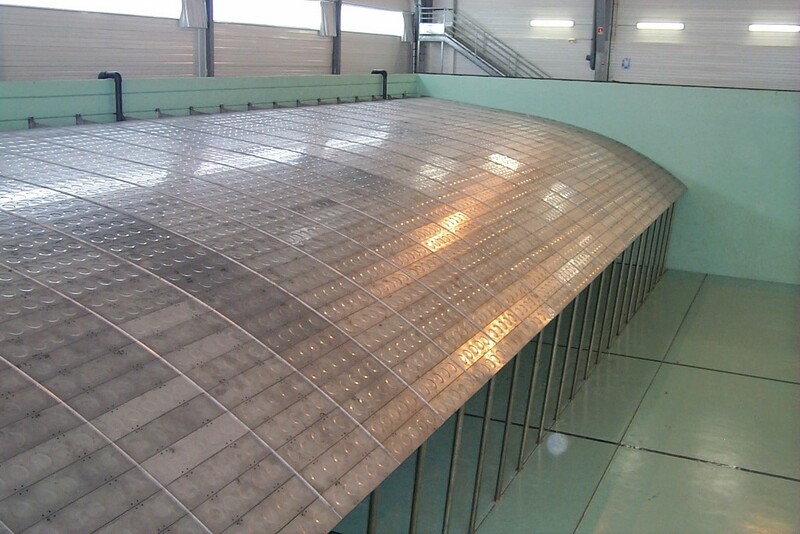 Installed in 2001, this tank is still in operation having never been drained.